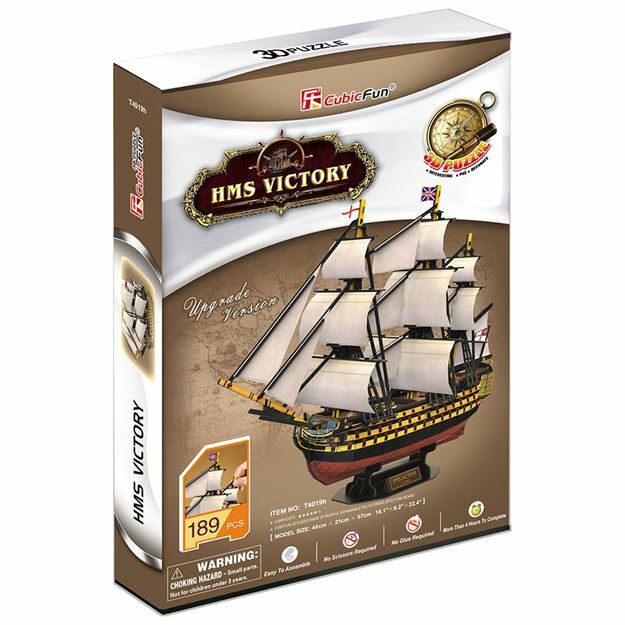 HMS Victory was a 104 gun first rate ship of the line of the Royal Navy, launched in 1765. She was most famous as Lord Nelson's flagship at the Battle of Trafalgar in 1805. This 3D puzzle is made of paper and expandable polystyrene foam board, it is easy to assemble without the use of any tools or glue. No of Pieces 189, Model size: 46cm x 21cm x 57cm. Age 8+ years.